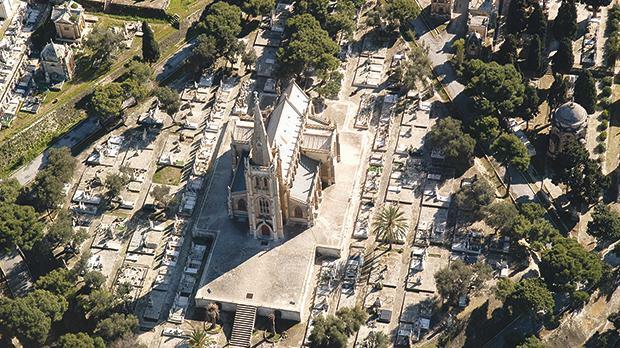 It was interesting reading (January 3) what the Health Minister said that the Mellieħa cemetery will be extended and that work on 2,800 new graves at the Addolorata Cemetery would start soon. There has been much talk of cremation by the Maltese Humanist Association and many others in this newspaper. MP Rosianne Cutajar was also spearheading a cremation Bill. I noted comments made in reaction to what the Health Minister said about new graves, including a comment on the use of the precious resource of more land. He rightly asks why not provide a crematorium or two. I had written on this newspaper on November 16, 2017 entitled ‘Potential risks of cremation’, which I had followed up and provided details on how such risks could be addressed safely. I had passed on all material to the authorities, including the Office of the Superintendent for Public Health. I had also provided details of the environmental-friendly method of disposal of the dead, called bio-cremation, which was suggested by the Maltese Humanist Association. Whether cremation is by fire or bio-cremation, the end result is the same. If cremation became a reality, the cost to families would be considerably less because there is no grave to pay for and, consequently, 2,800 graves would not be required. It is appreciated that some would still prefer burial but, possibly, this would not amount to more than 20 per cent. Cremation is needed more than ever in Malta now.